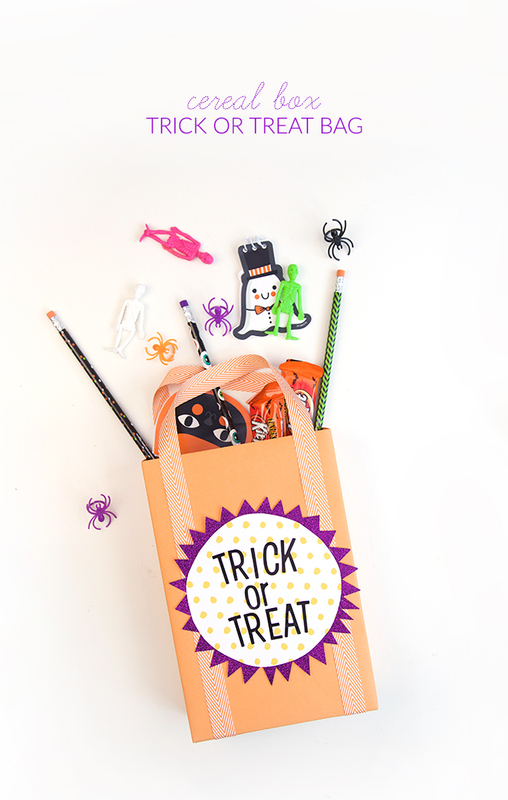 On October 31st, your kids will go trick-or-treating. On November 1st, your kid’s breath will reek of peanut butter cups, and they’ll be jonesing for more. It’ll be a sad state of affairs. 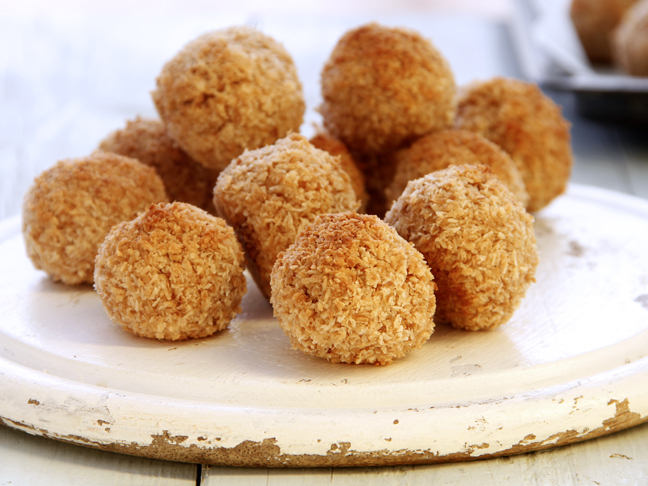 If only there were a way to take them trick-or-treating without the sugar-coma consequence. Don’t worry. 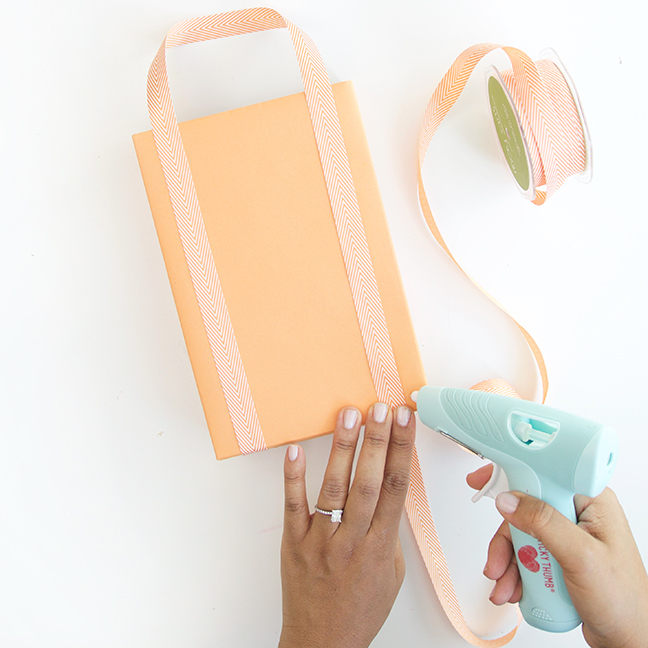 I’ve got your back with a super easy project. 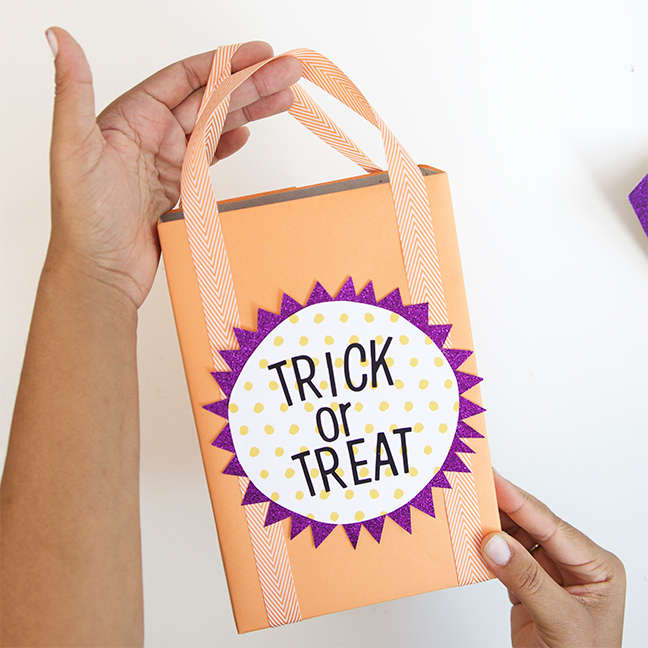 This easy to make cereal box trick or treat bag is large enough to house a respectable stash, but still small enough to avoid a house full of child-sized candy zombies. Me. Want. Candy. 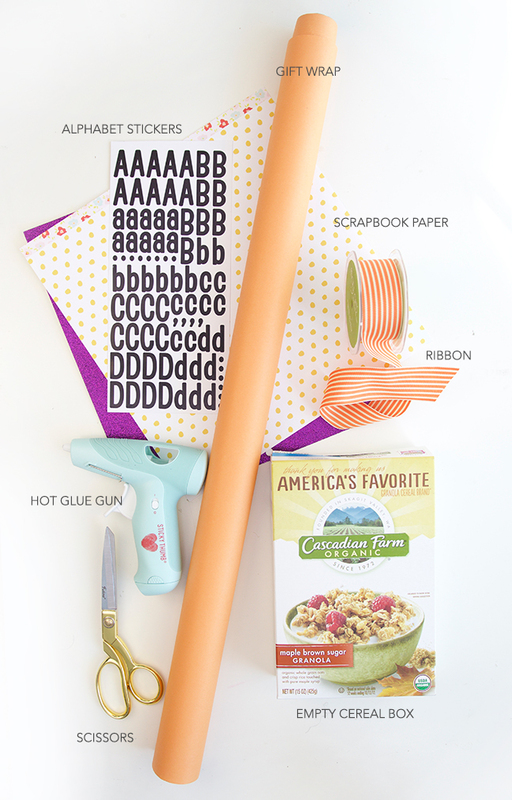 Step 1: Wrap the box like a present, and use the hot glue gun to secure the folds. 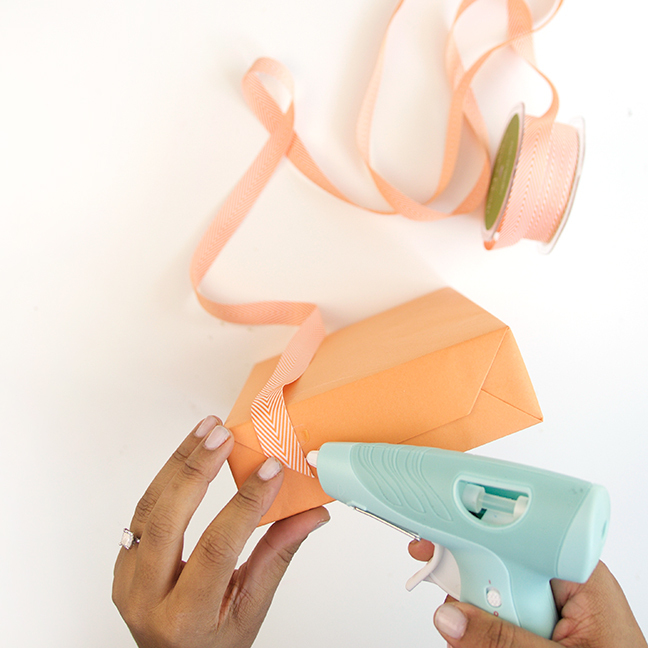 Step 2: Use the glue gun to glue down the end of the ribbon as shown. 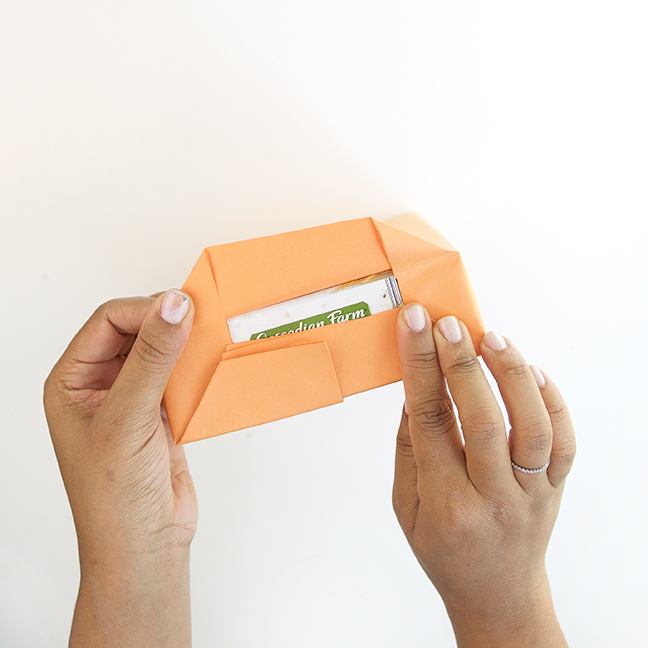 Step 3: Keep gluing the ribbon down to create a handle on one side, then repeat this on the other side of the box. 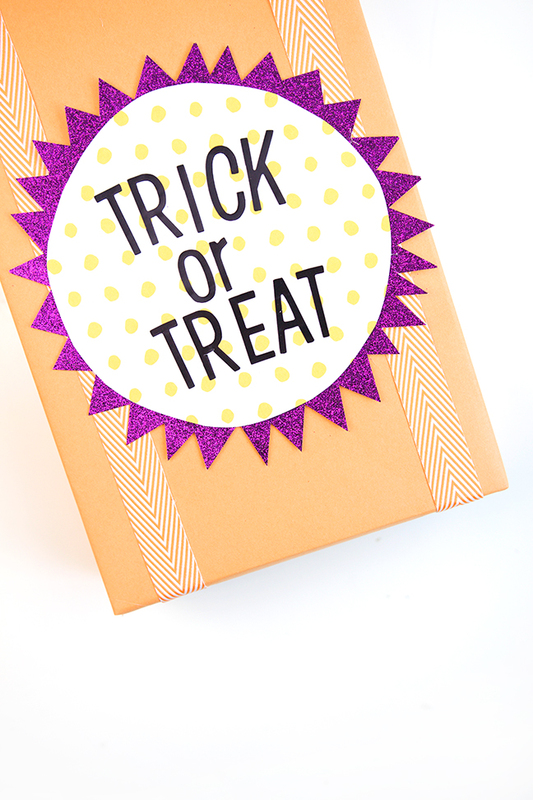 Step 4: Cut out a circle from one piece of the paper—I used glittery purple card stock. 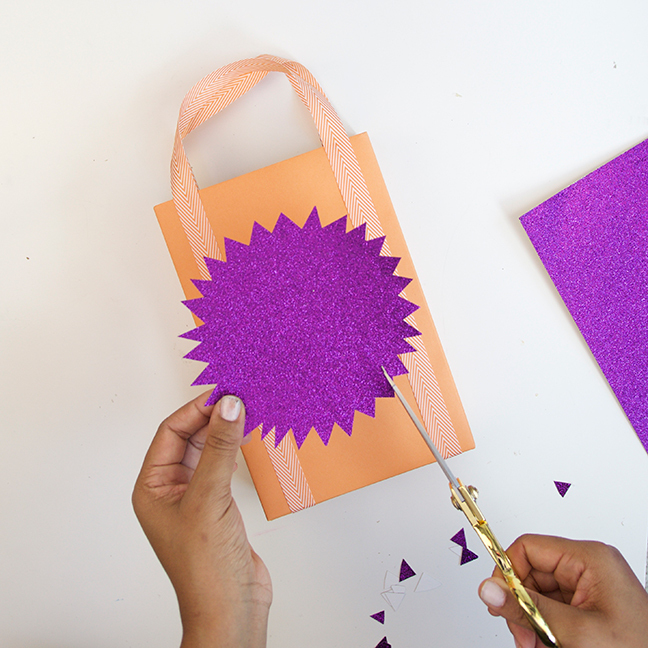 Step 5: Trim the edge of the paper to create a starburst shape—it doesn’t need to be perfect! 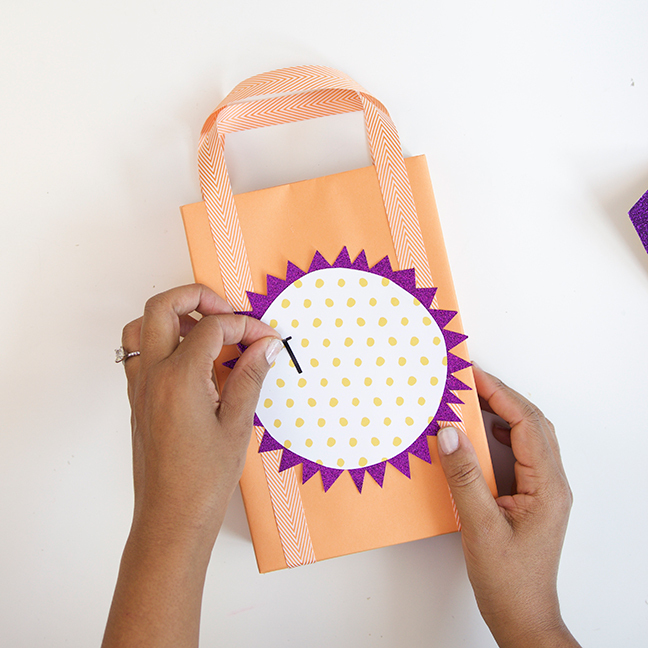 Step 6: Cut another circle from the the patterned paper and glue both down to the box with the glue gun. Step 7: Add stickers to the front. Get creative! 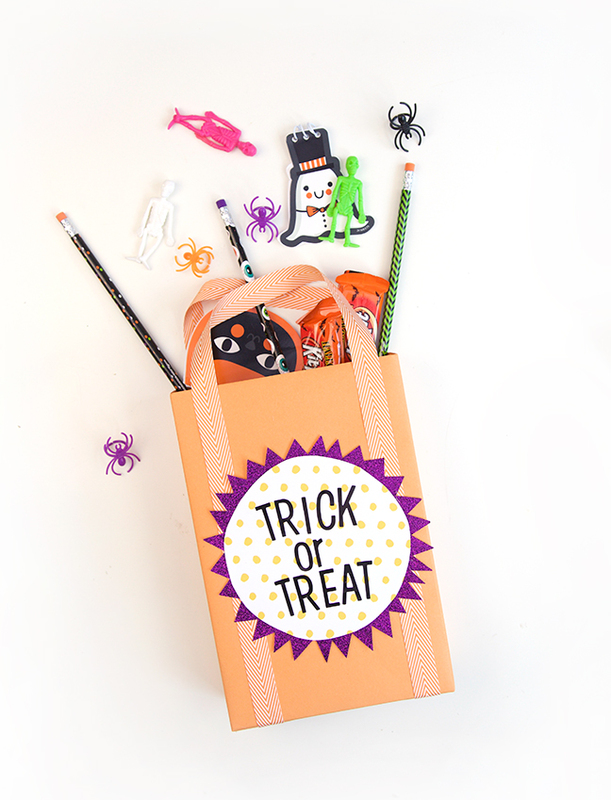 Spell out your kiddo’s name or perhaps a short motivational phrase that will keep you encouraged when you get home and have to explain the “only two pieces” rule to your candy-crazed, ravenous child. 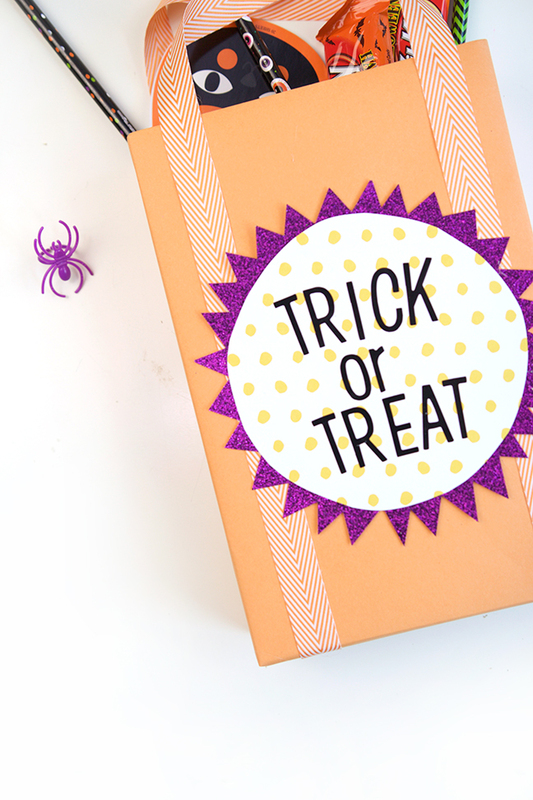 Happy trick-or-treating, sisterfriends. Good luck and godspeed! 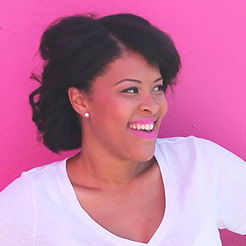 Amber is the crafty, sassy girl behind Damask Love, a blog all about doable DIY. Wanna make stuff? Don't worry. She'll show you how. 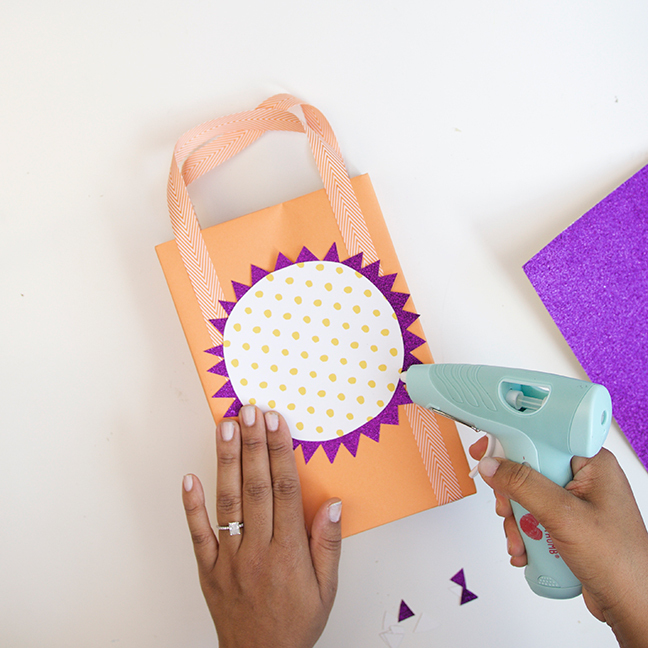 Amber's creative, colorful, and approachable take on crafting will have you excited for your next project. Craft is in session, friends. Amber is crafting the good life with her husband, Andrew, and their busy-body baby, Markus. Come follow Amber's colorful, crafty adventures on Instagram!